« October 18, 2018 Pueblo Barnes & Nobel Book-Signing Event this Saturday, October 20th! A week or so ago we had a very early snow and super cold temperatures, down to 11 degrees at night and only 28 degrees during the day, which is quite early for us here in Canon City to get that kind of weather in early October. 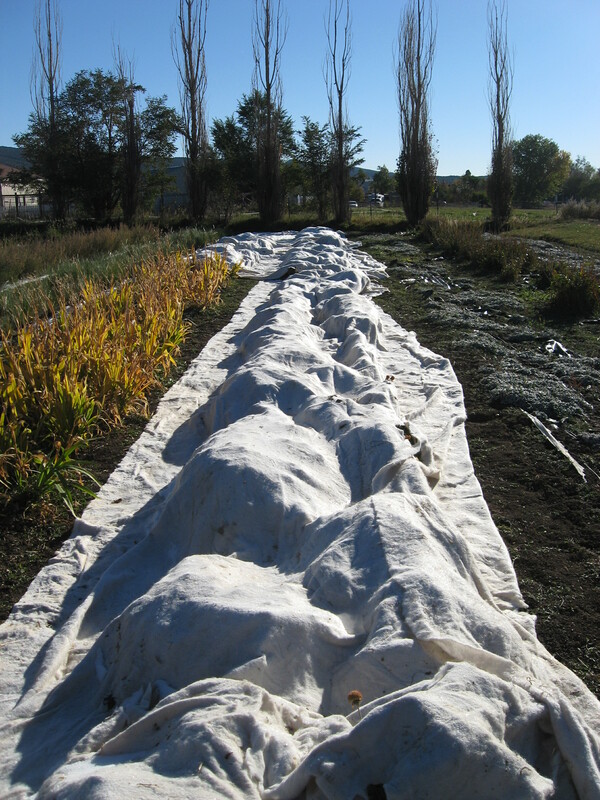 We hauled out all our frost blankets from the barn and covered as many of the remaining seed crops that haven’t been harvested yet, trying to keep the plants from freezing and us losing the seed crop. We had enough frost blankets to protect the Gaillardia, which is the one crop that is still flowering, and not yet near to finishing up in seed ripening. We didn’t have near enough frost blanket to protect all the remaining seed crops, so the ones that were nearly finished in the picking were left unprotected. 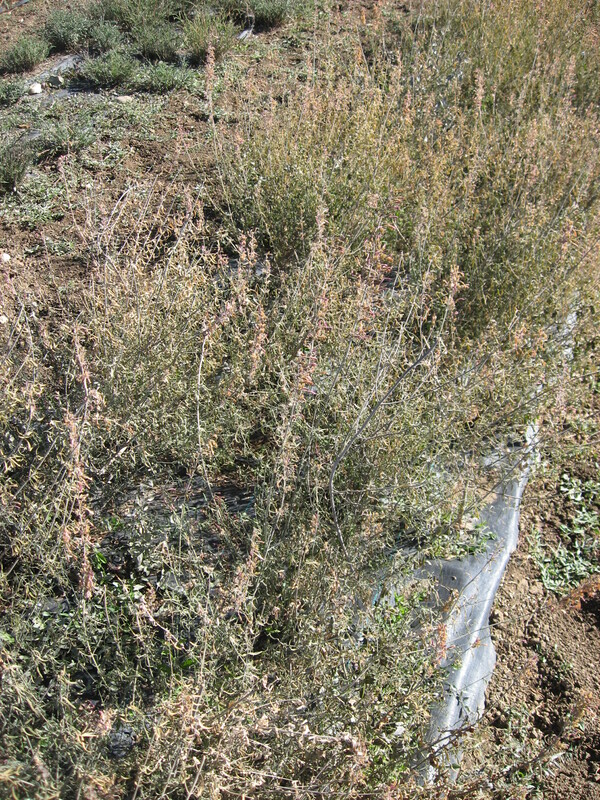 The Agastache rupestris was almost all picked, and good thing too, because the cold totally froze what was left. Most of the seed crops came through pretty well all things considered. Now we are down to only 2 crops left to pick and tomorrow we are supposed to get another snow event (right on time as we near St Hallow’s Eve). It isn’t supposed to be nearly as cold as that last storm, but we will cover the remaining Gaillardia with frost blanket just to be safe, and not risk losing the seed that is still finishing out ripening. Yup…it’s fall in Colorado. Yesterday was 80 degrees here and tomorrow will be a high of 40 degrees. 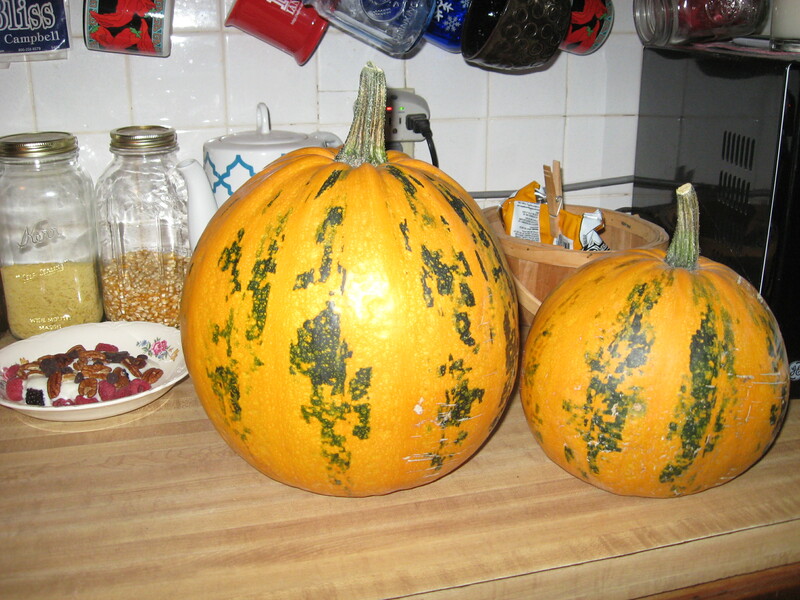 I picked my Kakai Hulless Pumpkins, which do not have hulls around the seeds. These pumpkins make delicious pumpkin custard or pie, and you can fry the seeds in olive oil or butter and salt them for a great snack. 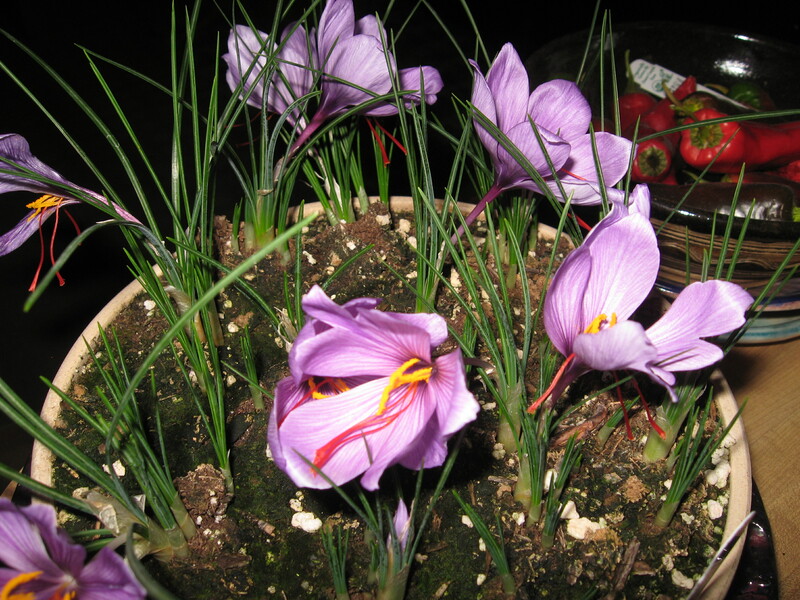 My Saffron crocus is nearly finished blooming. So beautiful! 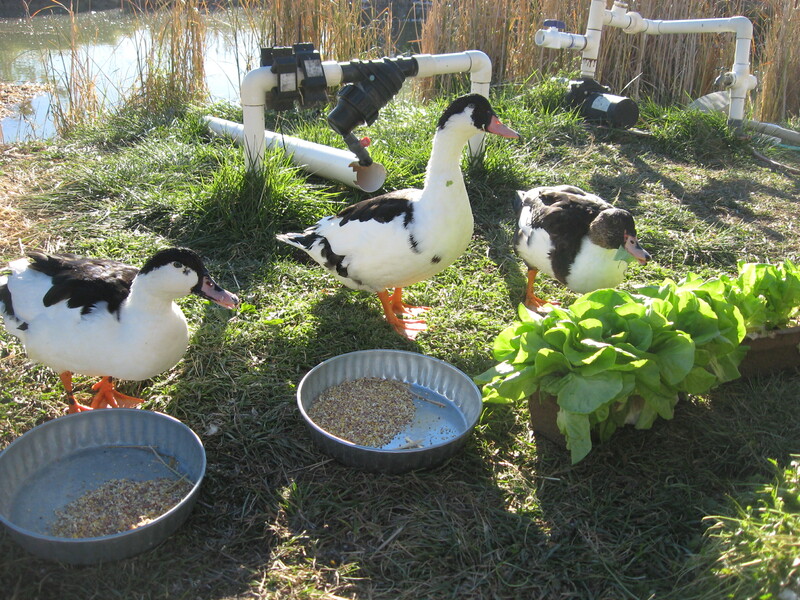 Hannah, Gretel and Rosie enjoyed a lettuce breakfast with their grains. They think the warm weather has been dandy. 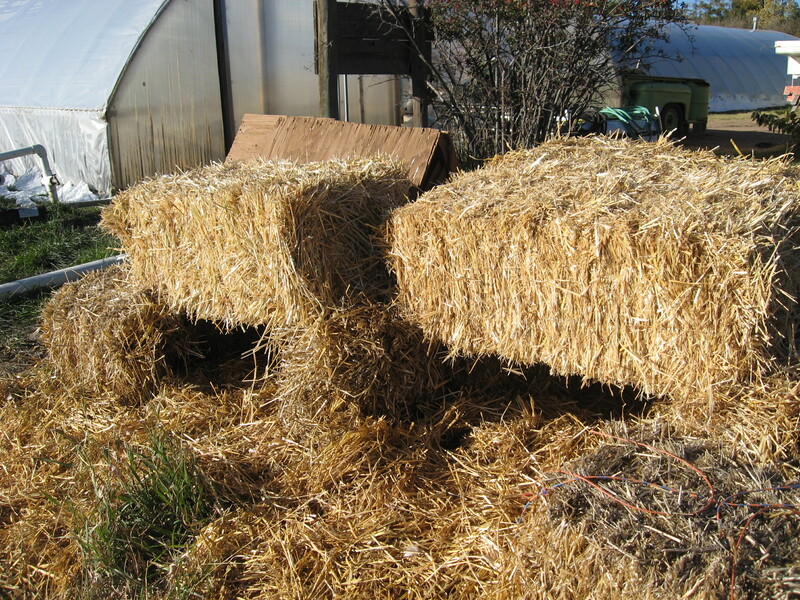 When we had the last snow event, we made some straw cubbies for the ducks to get in out of the snow and ice. They did use them when it was snowing, but they normally won’t go in them unless the weather is really bad. It’s that time now when we are planting for our spring busy season. Above are the baby horseradish and comfrey plants all rooted nicely. 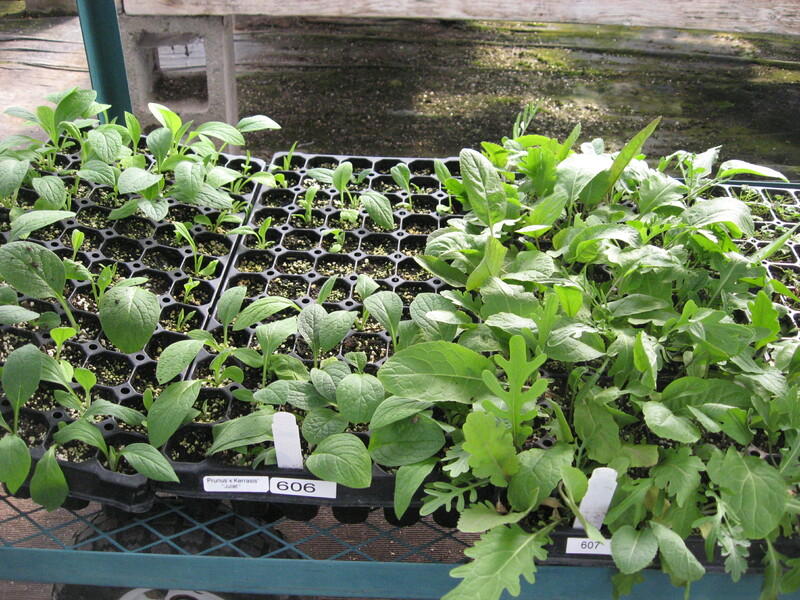 They will be transplanted into bigger pots towards the end of this year. Lizz has also started the seeding for some of next springs plant offerings. 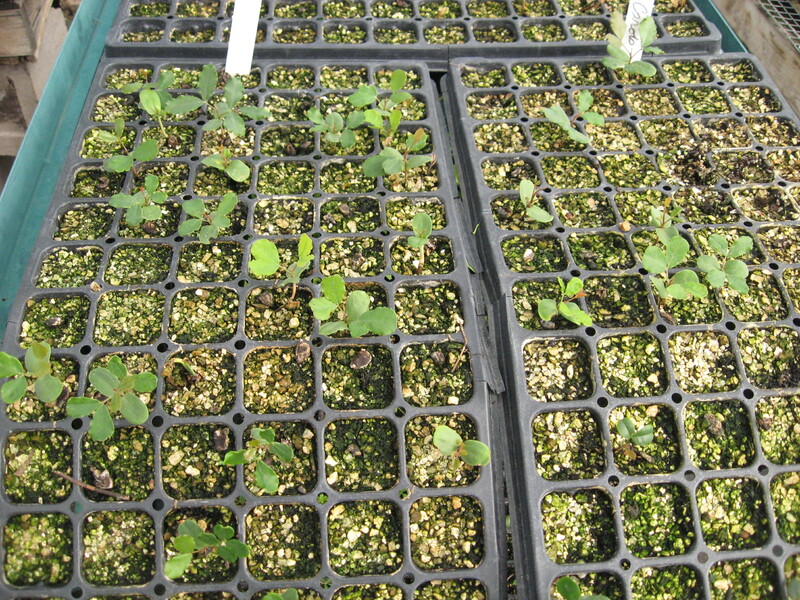 Above are some baby carob trees that just germinated about 3 weeks ago. They have a set of true leaves and are working on their second set of true leaves, so they are slowly growing. This past weekend we went for our last Sangres hike until next summer. We hiked up the Megan Lakes trail in the snow. The weather was great for hiking with temps in the 60’s and a sunny blue sky with no clouds! 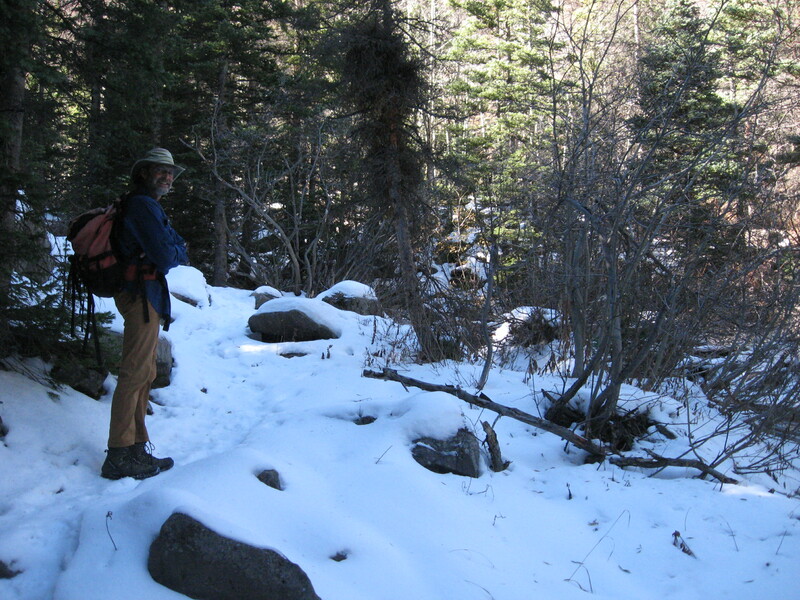 Our hikes now will need to be at a bit lower elevations if we want to hike without snow shoes. Thank goodness there are plenty of good options to choose from near our farm. When we came to one of the creek crossings, Shrek got very serious about his fishing attempts, but alas there were no trout to be found in the creek. As you can see from his serious expression, he took a good hard look to make sure they weren’t just hiding from him, which of course they were. 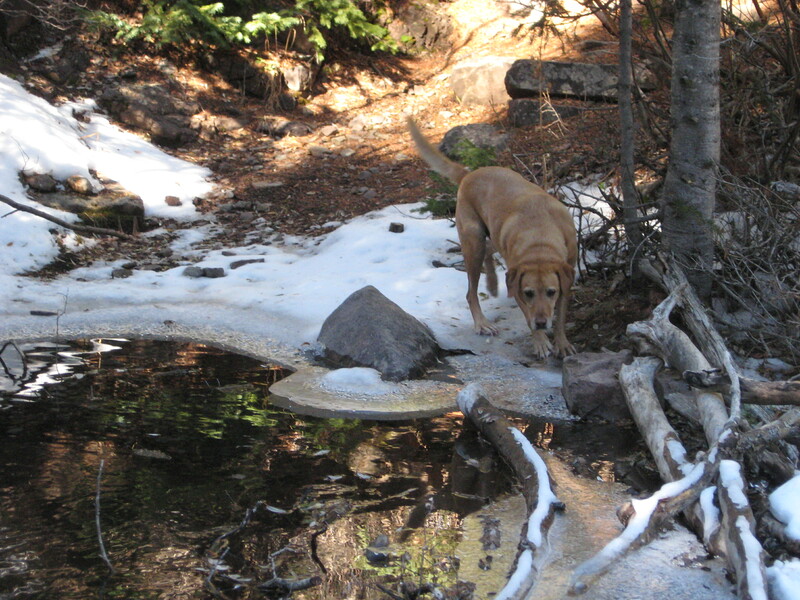 Ahh…this dog loves to look for fish in the creeks, ponds and lakes. 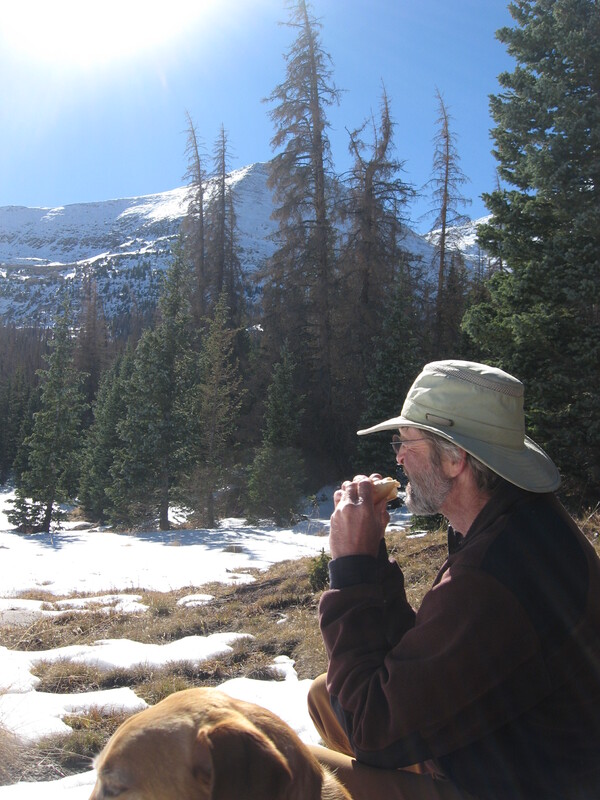 We hiked up as far as one of our favorite meadows, not too far from tree-line and the lakes, but the snow was getting deeper, so we stopped here and had a really nice relaxing lunch in the meadow before heading back down the trail. St. Hallow’s Eve is two nights away. 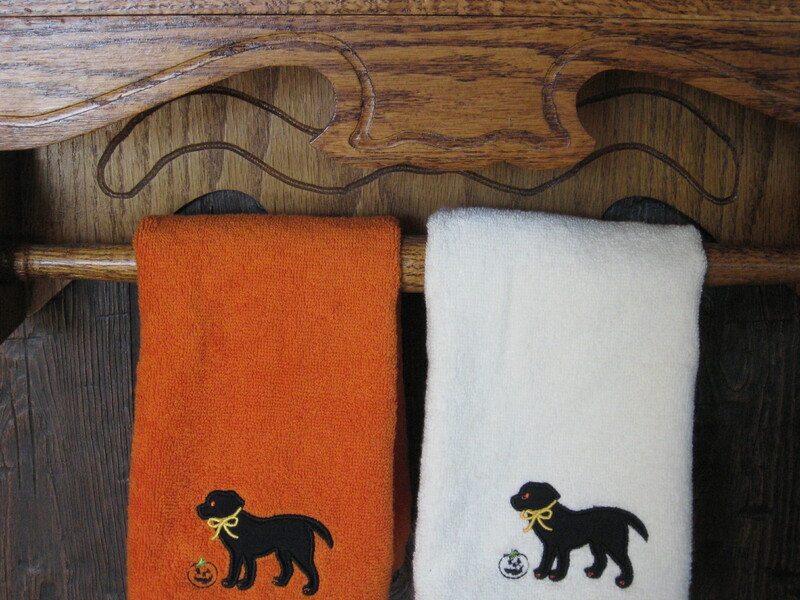 Shrek has his Halloween towels out for decoration. These were a fun treat from our friend Marge and her dog Aloha. Thank you, Marge and Aloha, we are loving these! It’s hard to imagine that it is almost November. Whew…where is the autumn going so quickly. I want it to slow down so that I can enjoy it longer. Chris repaired my bike and I took it out for a lovely ride along the Arkansas river this morning. What a pretty colorful autumn ride that was and I enjoyed it greatly. Thank you Chris! Tomorrow the snow is expected, so it will be a good day to enjoy a cup of hot chocolate. Stay warm and as the seasons continue their transition from Fall to Winter. I hope your days will be filled with joy.